Today marks the beginning of CES for press and many of the big companies who host a big production press event at this massive electronics show. 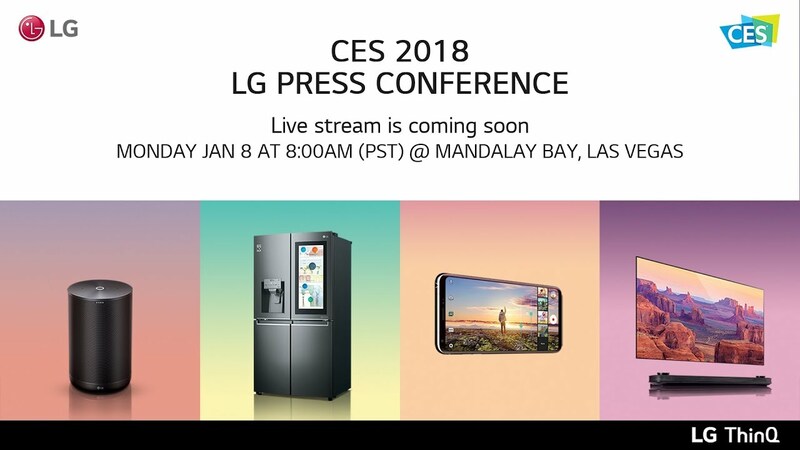 It’s actually called Press Day here at CES, and LG always kicks things off with the first slot of more than a dozen that’ll go down throughout the next few hours. LG’s press event starts at 8AM Pacific (11AM Eastern) and should last about 45 minutes. In fact, all of today’s press events during Press Day should last that long in order to give press time to shuffle between each one. What will LG announce? Probably not much in the mobile sphere. This isn’t just a mobile electronics show, so they often show off their new TVs (like those with Google Assistant), new refrigerators, other home appliances, and possibly some robots. They’ll definitely talk about these speakers too. They may show that new V30 in Raspberry Rose, but don’t go into this expecting them to unveil the successor to the G6. LG will save the big mobile announcements for next month. With that said, if you are interested in general electronics fun, feel free to tune in! The video is embedded at the top of this post.